Fall is often a welcome respite from a grueling summer and a needed pause before the cold and snow take hold in winter. 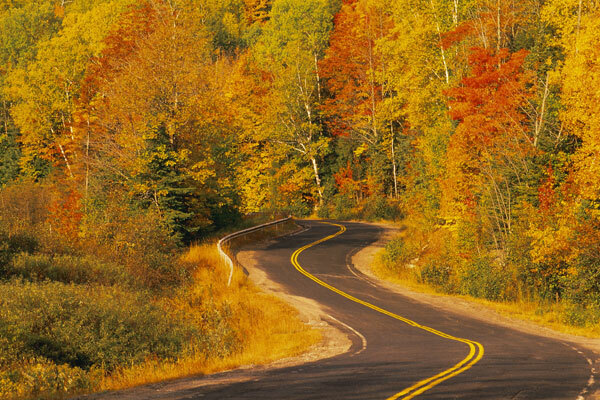 But just because it seems to be a mildish season, that doesn’t mean fall is free from specific driving challenges. To help navigate the beauty, wonder, and dangers that fall bestows on every driver, consider these tips from AARP.org writer James R. Healey. It rains a LOT in autumn. Combined with the beautifully-hued piles of leaves littering the ground, roads can get sloppy, wet, and muck-filled. Fall means school is definitely back in session, and after a long day of hitting the books kids can be forgetful about looking out for traffic when exiting or getting on the bus. Healey advises that drivers be even more aware of school buses and kids on the road. Also, don’t pass a bus that has extended its stop signal. Healey reminds drivers that since clocks get turned back this time of year in most locations, darkness descends a bit earlier, which means drivers might be finding their way home after work with less light making driving more challenging. Even though the air temperature might be lower in fall, the sun’s intensity—specifically its glare—is brighter, so Healey recommends donning your sunglasses during the day, making sure your windshield is free of debris at all times, and avoiding staring right at the lights of oncoming traffic on a night’s ride.